Ryan Seacrest is a west coast type of guy. However, the star of American Idol has made a big move to New York City. He moved from Los Angeles to New York to join the new Live with Kelly and Ryan show that airs 5 days a week. Still, the 43 year old is making sure that he’s in tip top shape for the new show co-hosting gig. Mr Seacrest is the type of individual that has several projects going at the same time. He also hosts the On Air With Ryan broadcast and manages the Ryan Seacrest Foundation. How does he juggle all those tasks? Let’s take a closer look. Certainly, Ryan Seacrest is not your average New Yorker. He is still running on the Los Angeles vibe. For example, he gets up early in the morning, showers, shaves, and moisturizes his face. He likes to wear sweats and Uggs. Ryan Seacrest is obsessed about his health and keeping fit and toned. Therefore, working out on a regular basis is very important for this very busy individual. The fact is that Ryan Seacrest has a trainer. He takes the trainer with him on trips too. Recently, the Live with Kelly and Ryan show invaded the Bahamas and Seacrest took his trainer with him to help him stay focused on working out too. Ryan Seacrest is not your average guy that likes to relax and drink a few beers. He is a very physical person and likes to keep fit. In fact, he recently started boxing with a boxing coach. In an article from the New York Times, Ryan Seacrest says he has a daily preparation. He likes to read the morning paper and check out all the latest news. Seacrest also enjoys watching the morning news on TV too. His commute to work takes several minutes by car. Surprisingly, sitting down and simply relaxing is something that is very difficult for Seacrest (@RyanSeacrest). However, the busy man decided to step back and look at his situation. He needed to slow down and take it easy, eat healthier meals, and to add meditation to his daily routine to stay on top of his game. Jed McCaleb is the co-founder of Stellar Development Foundation. This is an organization that wants to make the cryptocurrencies industry better by making them available for use in payments systems. Currently, the company is exploring possibilities of a single payment system that will allow people to use digital currencies for payments purposes just like they would with any fiat currency. The latest initiative is aimed at making it possible to pay with any cryptocurrencies but the recipient to receive the money in any format that they may want to. You can use bitcoin to pay a seller who wants to receive the payment in US dollar. Jed McCaleb is optimistic that the research work that the company is currently engaged in will make the cryptocurrencies more acceptable as people will have options for using it. Currently, the biggest challenge with digital currencies is that they do not have a payment system that can allow people to transact freely. Jed McCaleb projects that by 2028, there will be a hybrid system based on blockchain technology that will integrate various currencies and traditional assets. Currently, Stellar is working closely with large banking institutions which will facilitate transactions in the single payment system it is introducing. According to globalcoinreport.com, The biggest challenge in any kind of online transaction is security. People want to know that the system cannot be hacked and their money stolen. Jed McCaleb says that the system will be utilizing a “trust system” which will allow machine s to connect with trustable machines. Unlike bitcoin which is utilizing mining technology where computers running on high power consumption are used to complete complex mathematics, Stellar will only need machines to trust one another. The algorithm is still being tested so that it offers unlimited access to users. Jed McCaleb has a history in the cryptocurrencies industry. He joined after the invention of the bitcoin. He has been behind a number of innovations. One of the popular ones is Mt. Gox which was an exchange system that allowed people to transact bitcoin without requiring a second party. It was the first centralized system. Unfortunately, it was hacked in 29014 after he had sold. If you don’t know who Stream (Stream Energy) is, you should. This young company has grown quickly and surpassed many other energy companies thanks to their innovative direct selling techniques. But they aren’t resting on past successes. Instead, they are using their resources to empower the women in their organization and elsewhere. This year marked the fourth straight year running of their Women of Power Retreat. This event is held at their head office in Dallas and draws women from all around the country to gain skills and confidence. The company hopes these women will walk away with real skills and systems to grow their own businesses and inspire other women to be powerful. Famous women speakers act as mentors to the attendees, including such names as Nicole Lapin (well-known journalist and best selling author), Karen Leland (business expert) and Melissa Mark Garner (wellness coach). The theme this year is “Shine.” This means bringing out the unique value that each woman carries. In addition, the event teaches confidence, personal branding, and mindfulness. The end result, Stream executives hope, is to empower these women and help them build their own businesses their preferred way (https://crunchbase.com/organization/stream-energy). Stream Energy is a company founded in 2005 in Dallas, Texas. In twelve years, it has grown to be one of the largest energy companies around thanks to their innovative direct selling techniques. They allow the costs to be reduced and pass on innovation to their consumers to aid them in their busy lifestyles with connected life services. The services that Stream offers include protective services, home services, wireless services, and energy solutions. Their unique style has led them to create $8 billion in revenue since their inception. They offer services nationwide and specialized services in Texas, Georgia, Illinois, New York, Maryland, Pennsylvania, and Washington, D.C. In today’s world, many companies are taking the easy way out. This is creating bigger wallets for executives and not passing much value to consumers. However, Stream is using their growth to invest in their female associates, inspire others, and pass on the savings to their clients. All of this is impressive and refreshing in the new digital age (Indeed). National Steel Car is one of the crowning gems in Canadian manufacturing. The company has been around since its founding in 1912 and is currently headquartered in Hamilton, Ontario. It was founded by several notable investors that were led by entrepreneur Sir John Morrison Gibson. The goal of the company was to lead the country in the production of train cars and to set a new standard for the industry in levels of production and quality of stock cars produced. In their early years the company made huge strides from a high volume of orders from Canadian Pacific Railway and soon became recognized as an industry leader and a well-known name in Canadian manufacturing. The company also flourished through the Great Depression and turned its manufacturing capabilities to other entities that were needed such as busses, motor boats and trucks, while still providing stock cars. They saw resumed growth as World War Two descended and the need for manufacturing of stock cars increased rapidly. In fact, National Steel Car has been in the top three rolling stock options for over 100 years, since its founding. Today, it is the leader in the production of stock cars in all of North America and frequently exports to the United States and Mexico. Check Out This Article. National Steel Car was bought by a company in 1962, which was a loss for Canadian manufacturing. In 1994 there was a successful purchase of National Steel Car so that it once again was in Canadian hands. This purchase was led by Gregory J Aziz. Soon, Greg James Aziz joined National Steel Car where he brought the company to new heights. In his first four years serving as CEO of National Steel Car Greg James Aziz brought the production of stock cars from 3,000 to around 12,500. This was a gigantic feat for the company. He also grew it from working exclusively in Canada to all of North America and built a name for it that would make it one of the top leaders of stock car production in North America. Greg Aziz is known as an innovator, who highly values company culture and the power of his staff. He made it a mission to hire the most highly talented engineers and manufacturers to make sure that National Steel Car was known for its talented team and their design accomplishments. National Steel Car continues to make innovative strides in the field and to have accomplishments other companies aspire to. National Steel Car is a company that has been operating in Canada for many years now. It was started in 1912 as a railroad freight car manufacturer. At the time, the demand for rail products was in high demand. It, therefore, took a short time for the company to establish bigger operations. With the money that they gathered from the boom experienced in the 1910s, the founders managed to expand the operations of the company even further. The company became privately owned in 1919. The current CEO of the National Steel Car is Gregory Aziz. 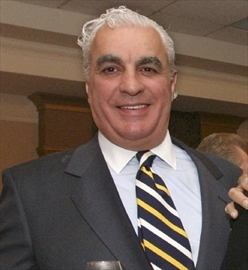 Aziz took over the management of the company from Dofasco in 1994. Greg Aziz was then working in the banking sector. He was working with different banks in New York where he had moved after finishing his studies. Greg Aziz has his origins in Ontario, Canada. Ontario is still home to this great manufacturing company. As a resident of Ontario, Greg Aziz knows the economic dynamics of the origin and can suit the operations of the company depending to the economic situatio0n in the region. National Steel Car having been in existence for so long and is preserved by many people from the region as a monumental facility that should be preserved in all manners possible. National steel car today employs numerous people from the region. The economy of the region has also been boosted by the production activities of this firm. Learn More Here. Under the leadership of Greg J Aziz, National Steel Car has made tremendous changes in the manner in which they are run the operations of the company. The company is now producing more cars in a year as opposed to when it was under the management of Dofasco. Gregory James Aziz is the President and CEO of National Steel Car. He became the CEO of National Steel Car in 1994. That is because he helped orchestrate the purchase of National Steel Car from Dofasco. National Steel Car is located in Hamilton, a place in Ontario, Canada. Gregory J Aziz was born in the town of London in Ontario in 1949. He studied at Ridley College. Then, he went to Western University, where he studied Economics. In 1971, the young Greg James Aziz joined his family’s business, Affiliate Food. It grew, in just sixteen years, to a large supplier of fresh food to various markets in the United States, Canada, and Europe. Afterwards, Greg Aziz got involved with various projects and investments in the banking industry in New York. 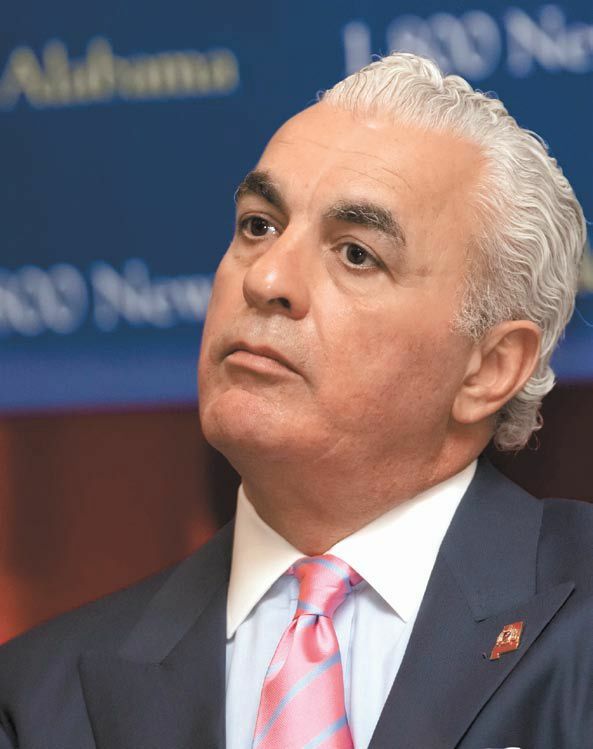 After Greg Aziz helped orchestrate the National Steel Car purchase, he became the President and the Chief Executive Officer of National Steel Car. Under his leadership, the company was extremely successful. It grew from producing just three thousand and five hundred cars a year to producing twelve thousand cars a year. It grew from having just six hundred employees to having over three thousand employees. National Steel Car has over one hundred years of experience with engineering and manufacturing in the rail industry. They are known for their commitment to quality. This is also why they are recognized as the number one manufacturer for tank cars and railroad freight. It is all thanks to the amazing people who work at and run National Steel Car, such as Greg Aziz. National Steel Car is known to always raise the bar so that they can improve their work. They are always improving themselves and challenging themselves to do better. They are the only railcar company in the entire North America to be certified ISO 9001:2008. They have received the TTX SECO award for over a decade on a consistent basis. See This Article for additional info. National Steel Car has a sense of purpose. They value and honor their traditions of the past. They focus on moving forward with determination. They always lead and have a focus on quality. Train cars are beautiful. They look different from each other and fulfill different purposes. Some are shiny and gray, while others are different colors. Some are used for cargo, while others are used for passengers who want to get someplace on time. Some train cars go over hundreds or thousands of miles, while traveling through several or dozens of miles. There are not just companies that run train cars and maintain train cars; there are also companies that commit themselves to manufacturing train cars. One of the most well-known of these companies is National Steel Car. If you are reading this article, there is a vastly good chance that you have not lived a moment on this earth during a time when rail-car-producing National Steel Car was not doing business. National Steel Car saw the light of day in 1920 when it was established by entrepreneurial residents of Hamilton, Ontario. The company was successful and spread out their operations over the decades. A revolution happened in 1994 when the firm was sold into the hands of an honorable man by the name Gregory J. Aziz. What makes Gregory J Aziz so honorable? Well, there are plenty of things to talk about. First off, he remodeled the company into an entity that produced more train cars. In this pursuit, he hired more people. Him having hired more people is something to be impressed about, since it is always impressive to see that more employment is being created. Citizens needs employment, because money makes the world go ’round, and you cannot do anything without money. You cannot feed yourself or your family. You cannot pay rent, taxes or a mortgage. You cannot do nice leisurely things. If you are unemployed and don’t have money, then you are a prisoner in your life. Of course, philosophically, anybody can say that under any circumstance, we are all prisoners in our lives. However, when you don’t have any money, you really start to feel like that. Read This Page for more information. Greg Aziz is also very honorable because he does what he can to contribute to activities in the community that help out people other than himself and the community of workers within National Steel Car. He gives money to artistic places within the community. The Aziz family also supports a major agricultural fair that takes place in Ontario. The Royal Agricultural Winter Fair is a mind-blowing event where onlookers come into contact with all sort of agricultural backgrounds. For example, there are horse people, rabbit people, goat people, bird people, cheese people, beeswax people, honey people and veggie people.